A follow up test by the University of Lund, using a proton microscope, found that this dose of mercury had been delivered in one dose, about 13 hours before his death, a finding that cast new light onto the death of this great astronomer. This is Part II of "The Exhumation of Tycho Brahe". Part I - Was Tycho Brahe Murdered? Was Tycho Brahe poisoned? It would be easy enough for an assassin to place a few drops of mercuric chloride into a glass, a dose often sufficient to kill. Of course, CSI type investigations apart, this does not comprehensively prove that the astronomer was murdered – the dose may not have been high enough to kill. There is also the fact that Brahe was a keen alchemist, using mercuric compounds regularly, so there is the possibility that he may have accidentally poisoned himself in the course of his studies. However, as a nobleman and scholar, with a high-charged lifestyle, there is little doubt that Brahe had many enemies, many with a motive for killing the astronomer. 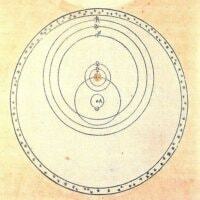 Johannes Kepler: The most common theory is that Kepler, a student of Brahe, instigated the murder. Brahe was reluctant to share his data with the younger astronomer, so there is the possibility that Kepler may have murdered his mentor so that he could obtain this unique data. Kepler may also have been jealous of Brahe’s fame and fortune, creating a motive for murder! Christian IV: Christian IV, the King of Denmark, is an illustrious addition to the list of subjects. It is alleged that Brahe had a passionate affair with the King’s mother, creating enough shame and resentment that the King ordered the death of Brahe – revenge is always a strong motive for murder. The way in which Christian completely humiliated the astronomer, tearing the observatory asunder and leaving few traces of its existence, suggests a deeper motive. There were rumors that the King was illegitimate, further antagonizing the monarch. Count Eric Brahe: According to Peter Andersen, of the University of Strasbourg, Eric Brahe, the distant cousin of Tycho, was the main suspect. Eric, a diplomat employed by the Danish crown, recorded many meetings with Hans, the cousin of Christian IV of Denmark, and suspects that he may have been the poisoner responsible for administering such high doses of mercury about 13 hours before the death of the astronomer. Andersen speculated that the orders came from the King of Denmark himself, and Tycho Brahe’s hurried flight from Denmark does indicate that he may have been in some danger. The traditional view is that Eric Brahe, related through the Swedish branch of the family, was devoted to his cousin and was a constant companion in the days before Tycho’s death. However, Andersen points out that Eric lived a similar hedonistic lifestyle to his cousin, resulting in near-constant financial difficulties and forcing him to hawk his services as a senior diplomat in many European countries. According to Andersen, Eric, related only through the Swedish branch of the family that had diverged 200 years previously, did not know Tycho before meeting in Prague, but soon became a confidante of the older man. However, the diary relates that, upon arrival in Prague, in 1601, Eric met many known enemies of the astronomer, and Andersen also believes that Eric expressed remorse throughout his diary. Eric Brahe was implicated in a plot to kill his own brother-in-law, so it seems that he had few scruples, especially when this was combined with his perennial need for money. Eric Brahe obtained an invite to the banquet held by Baron Peter Vok von Rosenberg, another nobleman in financial difficulties and one who Andersen believes may have been ingratiated into the plot to kill Tycho. 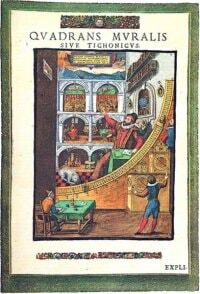 According to Kepler, Tycho Brahe fell ill during the banquet and could not pass urine, contacting a fever, but he recovered 5 days later. Eric appeared on the scene again, visiting Tycho’s home on the 20th October, noting this in his diary, following this up with visits on the 22nd and 23rd. The question is did he administer the mercury salts that appeared to enter Tycho Brahe’s system 13 hours before his death? Therefore, there is a great deal of circumstantial evidence implicating Eric Brahe and Christian IV of Denmark as those who killed Tycho Brahe. The evidence, currently, is theoretical and circumstantial, so Tycho Brahe’s exhumation, leading to a computer tomography of the skeleton and the testing of bone material, may give the physical evidence that can lad to a posthumous conviction. Part I - Was Tycho Brahe Murdered?